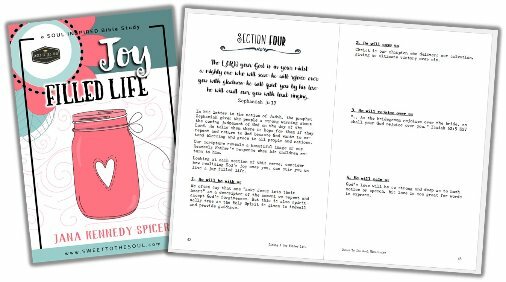 ​This week we finish up our month long look at Living a #JoyFilledLife so I want to share one of the study sections from the Soul Inspired Bible Study / Journaling Kit. This post is meant to be interactive, so grab your notebook or download and print these free journal pages. In his letter to the nation of Judah, the prophet Zephaniah gives the people a strong warning about the coming judgement of God on the day of the Lord. He tells them there is hope for them if they repent and return to God because God wants to extend blessing and grace to all people and nations. Our scripture reveals a beautiful image of our Heavenly Father’s response when his children return to him. 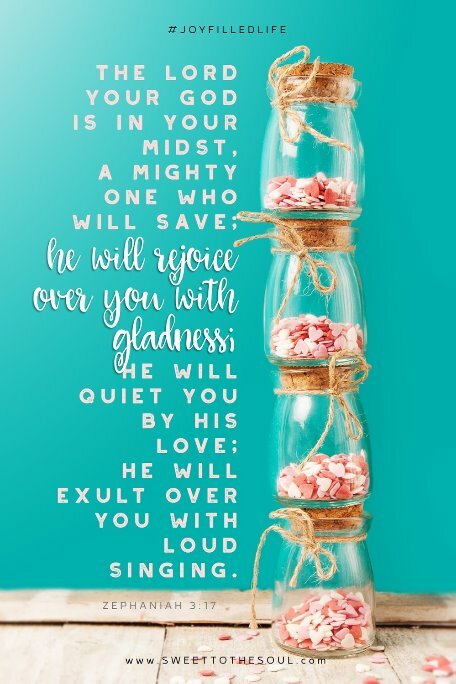 Looking at each section of this verse, consider how realizing God’s joy over you, can stir you to live a joy filled life. We often say that one “asks Jesus into their heart” as a descriptor of the moment we repent and accept God’s forgiveness. But this is also spiritually true as the Holy Spirit is given to indwell and provide guidance. Christ is our champion who delivers our salvation, giving us ultimate victory over sin. God’s love will be so strong and deep as to hush motion or speech, his love is too great for words to express. God delights to show his love and great affection toward his church. Does that not just grab you that God actually sings over us? That he is so full of joy when we return to him that it can not be contained and the heavens erupt with his excitement?! For our part, we seek him and follow him. We trust in him and rejoice in him. And God personally delights over each and every one of us. And not some emotionless contentment, but a delight which burst forth in joyful divine celebration. How can knowing this NOT in turn, elicit the same type of joyful celebration? Oh Lord, fan the flames of joy in our hearts to praise you with such shouts of joy that the heavens hear and rejoice with us! In Jesus name, amen. · What is a worship song which ignites your heart with joy? I love sunflowers! The bright yellow petals just shine and make me smile. 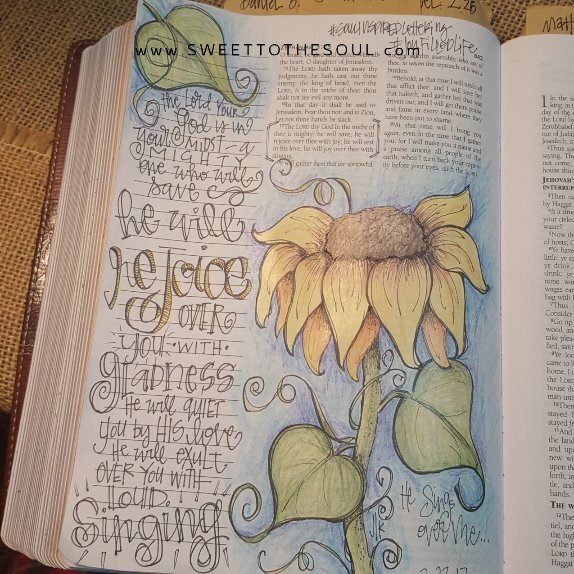 When I'm drawing a scripture in my Journaling Bible I love adding flowers and images that warm my heart. ​As with most of my pages, this design was hand drawn in pencil then inked over using black Prismacolor Premier Fine line Markers. Then colored with Prismacolor Premier Colored Pencils. ​Today's blog post is an excerpt from our Soul Inspired Bible Study - Joy Filled Life. ​For more info - click here. Have loved doing this month of bible study alongside you Jana! And with you sweet friend!! Oh how I love this post Jana! Your first verse is one of my all time favorite verses - God singing over us! What a visual image that inspires. Yes Susan, singing over us? I just cant imagine!